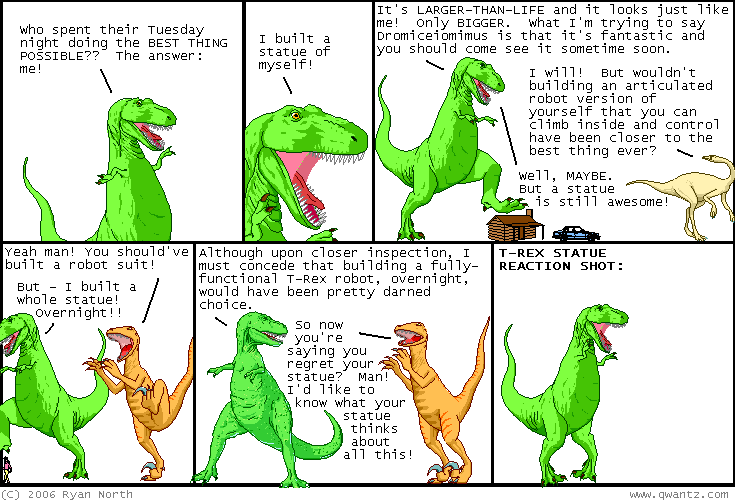 Dinosaur Comics - August 9th, 2006 - awesome fun times! *Flash wipe to me skating through puddle number 1. Me: "Aw man!" I, for one, will be looking for opportunities to shout "Oooob-Waaa!!" when in trouble from now on.